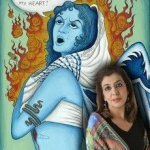 The Art of Aging, a fine arts exhibition, celebrates the positive aspects of maturity through the lens of Jewish values. Created by the Hebrew Union College-Jewish Institute of Religion Museum, the exhibition explores the ways in which aging is less an inexorable process and more of a lifelong journey affecting the dynamics of human relationships, creativity, memory, continuity, and growth. “I tattooed a number on her arm. 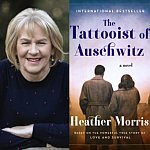 She tattooed her name on my heart.” We are honored to be joined by Heather Morris to discuss her international and New York Times bestselling novel based on a true story. 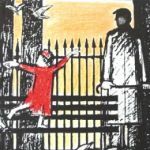 For readers of Schindler's List and The Boy in the Striped Pajamas comes a heart-breaking true story of the very best of humanity in the very worst of circumstances. 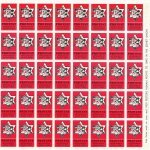 The book tells the true story of Ludwig (Lale) Sokolov, a Jewish prisoner who was given the job of tattooing identification numbers on prisoners’ arms in the Auschwitz-Birkenau concentration camp. One day, he met Gita while she was waiting in line to be tattooed and it was love at first sight. And so began one of the most life-affirming, courageous, unforgettable and human stories of the Holocaust: the love story of the tattooist of Auschwitz. A book signing will follow the event. 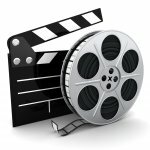 This series of lectures examines how and why Gentiles rescued Jews drawing upon interviews of them and how they have been portrayed in feature films. Lectures include: The Dynamics of Decency: Why Righteous Gentiles Rescued Jews, Christian Holocaust Films: From Complicity to Compassion, and How Oskar Schindler Screened Out Raoul Wallenberg. In the dizzying spin of the 21st century, we have achieved marriage equality in all 50 states for LGBTQ people, there are openly gay and lesbian leaders in every field, and transgender rabbis, athletes, actors, government leaders, and everyday Americans are more able to live their lives as their truest selves. We will examine Jewish texts that deal with gender, sexuality, and inclusion as a way to situate the conversation within a Jewish context. 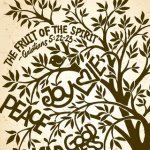 You may be surprised to learn how much Judaism has to see about these very contemporary issues, and how advanced Jewish teachings have been on these sometimes-controversial topics. 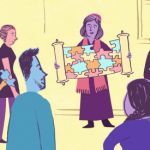 Mussar is a 1,000 year tradition that draws on Jewish wisdom to help individuals develop character traits which enhance spiritual and personal growth. We will discuss Jewish character traits by looking at insightful and motivating texts. Israel’s leading podcast blends live storytelling and surprising multimedia, introducing us to a different Israel, one that we rarely get a chance to see: life-sized, nuanced, funny and touching. 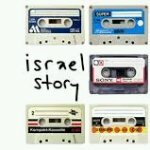 These are everyday stories, told by, and about, regular Israelis. Everywhere we turn these days it seems "the wall" is staring back at us. Its power is magical - it both protects and alienates; keeps people in and out; and can - we have all seen - even bring mighty governments to a standstill. Israel, too, has its share of walls. There's the West Bank Barrier, of course, the Wailing Wall, and basically everything in between. 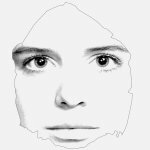 In their newest live show, Israel Story - the country's leading podcast - interact with different walls and have surprisingly poetic tales to tell about their encounters. With their usual mix of unusually splendid storytelling, marvelous live music and stunning visuals, join the Israel Story team for an evening that will redefine your thoughts about the good ol' "W-word." Learn to make a holiday-themed challah--knead the dough, let it rise and shape it. While the dough is rising, join in a text-based conversation or schmooze with your friends. 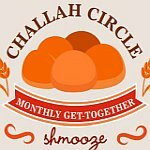 Take home your ready-to-bake challah just in time for Shabbat! For adults and children over 12. Three remarkable events bring together experts and influencers from The Salk Institute for Biological Studies, the world’s top leader in biomedical research, located in La Jolla. 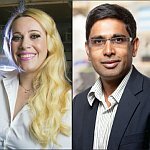 Salk scientists will showcase their remarkable insights and discoveries and their impact on humanity. Leona is an intimate, insightful, and moving film that tells the story of Ariela, a young Jewish woman from Mexico City who finds herself torn between her family and her forbidden love. It’s ripe with all the drama and interpersonal conflicts of a Jane Austen novel. Watching Ariela negotiate the labyrinth of familial pressure, religious precedent, and her own burgeoning sentiment is both painful and beautiful—there are no easy choices to be made. The viewer travels back and forth with her as she struggles with her heart to take the best path. Since the tragedies at Marjory Stoneman Douglas High School in Parkland, Florida, the March For Our Lives movement has taken a stand against senseless gun violence. The Parkland students work together with young leaders of all backgrounds from across the country to hold politicians accountable and combat the normalization of gun violence. The San Diego Center for Jewish Culture brings survivors of the Parkland shooting to San Diego to share Glimmer of Hope, the New York Times bestselling book by the founders of the movement that tells the story of how a group of teenagers raced to channel their rage and sorrow into action—and went on to create one of the largest youth-led movements in global history. These students bring their urgent conversation to San Diego, offering us a chance to come together and take action, refuse to remain passive, and work to create a safe and compassionate nation for our youth. 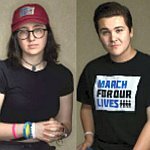 An important conversation with Parkland shooting survivors Sofie Whitney and Brendan Duff. Price: FREE to the public, but tickets required to enter. All ages welcome. Doors open at 4:30 PM. Q & A and book signing to follow event. Books for purchase (100% of the authors' proceeds from Glimmer of Hope will benefit the March For Our Lives Foundation and the ongoing fight to end gun violence in the United States). 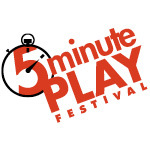 Join us for the 6th Annual 5-Minute Play Festival, a staged reading series. You'll get a taste of comedies, tragedies and everything in between as professional San Diego actors, under the stellar direction of D. Candis Paule, transform scripts into theater showcasing fresh, new playwrights that speak to Jewish identity, cultural experiences and values. This is an evening of laughter, inspiration and thought-provoking questions. Join us for the 2019 Lawrence Family Jewish Community Center and the San Diego Center for Jewish Culture Annual Meeting & Special Recognition Awards Tribute. Volunteer Appreciation Dessert Reception to Follow. 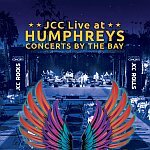 Rock & Dine Under The Stars at Humphreys Concerts by the Bay with an EXCLUSIVE private concert by Steve Augeri, former lead vocalist of Journey, to underwrite programs and services at the Lawrence Family Jewish Community Center, JACOBS FAMILY CAMPUS. Did we mention EXCLUSIVE private concert? What this means is that on June 23rd, Humphreys is opening their doors just for US! 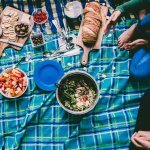 Patrons of the J will dine on delicious eats, participate in a LIVE auction, watch the sunset, AND rock out under the stars together in this amazing outdoor bayside venue. Could there be a more fun way to support your favorite J San Diego programs? Gather your family and friends - we welcome you with Open Arms. 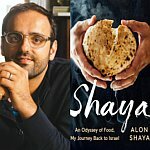 Alon Shaya learned to cook while hanging onto the apron strings of his mother and grandmother. But by the time the Tel Aviv-born, Philly-raised chef moved to New Orleans and won the James Beard Award for Best New Restaurant in America, shrimp, gumbo and jambalaya had made their way into his shakshuka—and okra had found a partner in black-eyed peas. Join us for a special Shabbat dinner to hear about — and sample — that culinary journey, in celebration of Shaya's cookbook/memoir, Shaya: An Odyssey of Food, My Journey Back to Israel. As you enjoy some of Chef Shaya's most raved-about creations, you'll hear the stories of the places, people and food that have informed his journey from Tel Aviv to NOLA and back again. For full menu visit sdcjc.org. The personal stories of American Jewish activists and Soviet Jews – known as refuseniks – will be brought to life in Power of Protest: The Movement to Free Soviet Jews, a new traveling exhibition created by NMAJH. 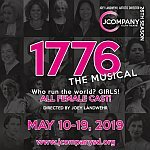 It will explore the significance of this dramatic, risky, and emotionally fraught social justice movement, what The Atlantic's Jeffrey Goldberg has called "the most successful human rights campaign of our time." After World War II, Jews who lived in the Soviet Union were denied the rights to live freely, practice Judaism, or leave the country. A worldwide human rights effort on their behalf brought together organizations, student activists, community leaders, and thousands of individuals – and reached the highest echelons of the American government. The exhibition will serve as a reminder of the unique promise of religious freedom and our continuing responsibility to preserve and protect that freedom. *In conjunction with the August 27 opening, Rabbi Ralph Dalin will share some of his personal insights and experiences from his years of activism in the Soviet Jewry movement on the national and local level. A tin of Barton’s Almond Kisses. A stretchy yellow pouch of Elite Gelt. Imagine the intersection of Jewish life and chocolate, and those are the markers that likely come to mind. Less likely, but no less pivotal is the liquid delicacy that Inquisition-era Sephardi Jews introduced to France. 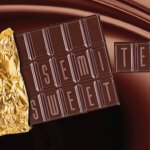 Semi[te] Sweet: On Jews and Chocolate features tantalizing historical and contemporary archival materials, decorative arts and bibliographic materials that celebrate these contributions of Jews to the business of chocolate.